It seems that the Lumia 520 and Lumia 525 (seen above) will soon have a successor called Lumia 530. According to @evleaks, this new handset is codenamed Nokia Rise, and should be released by T-Mobile USA at some point. It's not the first time we hear about the 530, as the device was initially mentioned in March under the name of "Nokia Rock". While there aren’t any specific details on the features of the Lumia 530, we’re expecting it to be an affordable entry-level smartphone with a WVGA display (just like the 520 and 525 models). Also, the new handset will almost certainly run the latest Windows Phone 8.1. As we told you earlier this month, when the Lumia 630 was launched, announcements regarding it no longer mention Nokia’s name - since Nokia’s Deices and Services unit is now owned by Microsoft. So we’re thinking that the Lumia 530 may also be introduced sans the Nokia branding. We don’t know when the Lumia 530 is supposed to be released by T-Mobile, and neither if the handset will be sold by other carriers (it probably will be, though). Anyway, we assume that more info about this smartphone will be available soon. If it has 512mb like the 520/521/630/635, it will fail. With more and more apps requiring more memory. Not to mention if you run multiple apps, then you need more ram. 512mb doesn't cut it any more. WP was built for low-end and adapted to high-end. Not the other way around. That won't be a problem. Dude, do u wanna put 3 GB in low end device. Then try to put 6gb in note 3. Bcoz 3 GB is not enough for high end. Its a low end device, Its a low end device....did u heard it. So much hate in one comment. Adding 1GB of RAM to make it worthy of a successor would actually be nice don't you think? We already have Lumia 525 with 1 GB RAM that didn't replicate the sales boom of the Lumia 520. So that's done. If you meant a 2 GB RAM device on a dualcore phone (I'm speculating here cuz it's clearly gonna be a low end device) is simply overkill IMO. BUT..... 1 GB RAM backed by a better processor.... Or better yet; A FRIKKIN LED FLASH!!! 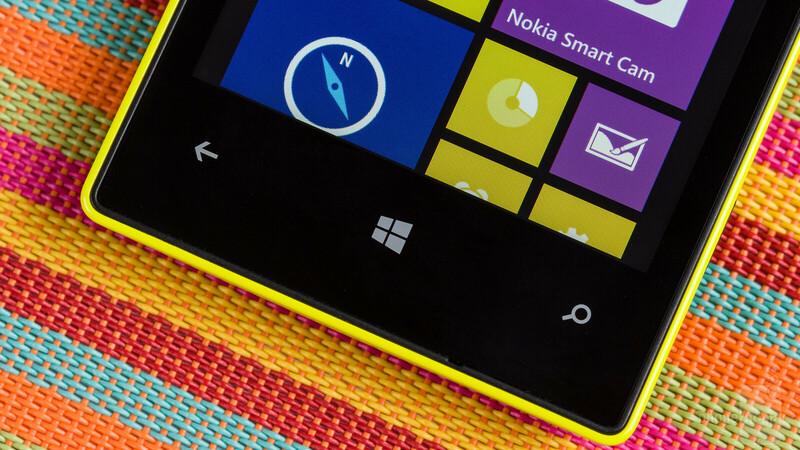 would take Microsoft/Nokia where the Lumia 520 could not. Maybe the 525 didn't sell because it added maybe $1-2 worth of extra RAM, but was priced at three to four times what the 520 costs? That depends on what part of the world you're from. Here, in India, the Lumia 525 is priced a bit aboveabout 10% more than the Lumia 520 with the difference in price being just shy of $15(USD) between the two phones.... Which I think is decent pricing. and a false prophet speaks!!! Argument is irrelevant from the get go, as Nokia isn't producing phones anymore. These will be MS branded. You do know the 520 with 512mb of memory is the most successful Windows Phone EVER, with a 34% market share within the OS, right? The 630 came in below the 520's original price, and the 530 will be even cheaper than that. If they can bring it out in the $100-125 range it will be a huge hit for WP. Now we know that Android can't run properly on even a gig of RAM, but WP's different. My L520 runs as fast as my L1520, which says something about the fuss on specs. Specs don't matter on WP. People buy WPs cuz of its performance and UI, not SPECS. Last time I checked, crap doesn't need memory, but Samsung seems to think otherwise, right? Too bad Android is still laggy like crap. No matter how much memory, it's still gonna be crap. You ARE spreading BS. "Piece of crap with no memory don't wasted your time" ^ you just said that about a phone that hasn't even revealed it's specs yet.... Unless I've gravely misinterpreted your post, you're being a jerk here. And your job is your problem. Don't screw everybody else's day for your daily bread.... And that's not even your job (from your vague job description)... Unless Google is paying you to talk trash about rival companies and their products. In which case, ask your bosses for a promotion and a pay hike. Also, your opinion is just as valuable as the next guy's but hey man, why the hate? Would it kill you to be NICE on the internet? Too bad Samsung's Androids are still laggy. * My HTC isn't laggy with Sense 6, nor are Nexus devices laggy. Yeah, that true. My bad. The Note 3 only gets laggy once you load a ton of apps on it, it lags just as much as my M7 did before it which so many said was a lag free experience. I've seen iPhones and Nexus' lag too; nothings perfect. Grow up kid. But Samsung accounts for more than 30% of the billion Android devices active. So its pretty safe to say that Android lags on low end specs. Note 3 is buttery smooth so don't spread BS. The Note 3 has 3GB of RAM. That's as much as a few laptops have. But the S5, Samsung's flagship, which has 2GB of RAM, gets smoked by the Moto E in terms of performance, a phone that has half the RAM, and a dual core CPU. So yeah, his "BS" is correct IMO. Then buy the high end phone. Why u wasting a time here. learn to use a correct verb tense 1st. lol!